The innovative Technology for prostate biopsy at Hackensack Meridian Health Bayshore Medical Center allows for better detection of cancerous prostate cells.Hackensack Meridian Health Bayshore Medical Center is proud to announce that it has expanded services to include targeted MRI ultrasound for prostate biopsy. The procedure utilizes both ultrasound and magnetic resonance imaging (MRI) to allow for better targeting within the prostate, enabling cancerous cells to be more easily detected. 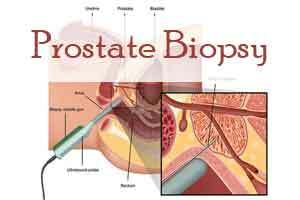 The technology fuses pre-biopsy MR images of the prostate with ultrasound-guided biopsy images in real time, providing delineation of the prostate and suspicious lesions, as well as a clear visualization of the biopsy needle. Other than skin cancer, prostate cancer has become the most common form of cancer in American men and the second-leading cause of cancer death in this population. The primary candidates for this procedure are patients with rising PSA levels and previously negative biopsies, or those on active surveillance. The procedure also means that surgeons require fewer tissue samples, which reduces a patient’s risk for infection, bleeding, pain and recovery time.